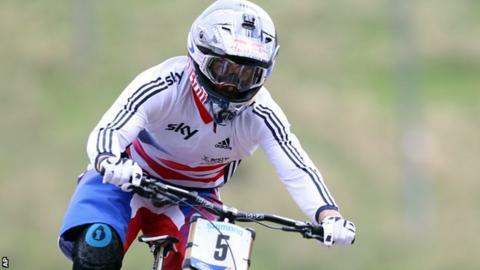 Downhill mountain biking should be in the Winter Olympics, says Britain's double world champion Gee Atherton. "I think downhill lends itself better to the spirit of the Winter Olympics," said Atherton, 29. "If you look at how the Winter Games have changed [by adding newer, more youth-oriented sports like freestyle skiing and snowboarding], it would be a better fit. That's how I see it going." That process started last year with the election of a new president, Thomas Bach. The former fencing champion from Germany immediately announced his intention to freshen up the Games with his "Agenda 2020" plan, which will be voted on in Monaco later this year. But any move to add or remove an event from the Olympic programme must be initiated by that sport's international federation, in this case the International Cycling Union (UCI). Earlier this year, UCI president Brian Cookson proposed cyclo-cross - a combination of mountain biking and road cycling which takes place on muddy trails in road cycling's off-season - as a potential Winter Games sport. "It would be mint to have Olympic status, but not if it meant watering down the sport. What we need is a lot more support at the grassroots level, and better coverage. All it takes is for somebody who has never seen a downhill race to go to one, or see head camera footage, and they are hooked." A month later, Cookson, a former head of British Cycling, went further, suggesting that a number of sports played indoors during the winter - badminton, judo and track cycling, for example - could also move to the Winter Olympics. He subsequently clarified his comments, saying he was only raising the matter for debate, but it is no secret the UCI wants to translate cycling's growing popularity into a bigger Olympic presence. When asked for a comment about downhill's chances of Olympic status, the UCI reiterated its support for Bach's Agenda 2020 reforms, while acknowledging the need to grow the sport further. "The UCI believes there is real merit in both maintaining and expanding the cycling programme in the Olympic Games, and we look forward to a constructive dialogue with the IOC on this," a spokesman added. Atherton, who won his second rainbow jersey at the Worlds in Norway last week, admits to being frustrated by his event's exclusion from the Olympic mainstream, particularly when he sees the financial backing it brings to cross-country riders. "A huge part of downhill's appeal is its rawness - it's still got this wild feeling about it and it's not really like anything else," he said. "There's a chance it might get watered down." What is not in doubt, however, is Britain's downhill pedigree. Atherton beat compatriot Josh Bryceland into second place in Norway, with Manon Carpenter leading a clean sweep of the women's medals for Great Britain. There was also a silver medal for Laurie Greenland in the men's junior race, which meant six of the seven medals Britain won at the Worlds came from downhill, with none coming from the seven different cross-country races. Atherton, whose older brother Dan and sister Rachel are also downhill superstars, says Britain's success in the event is down to a combination of factors. "We may lack big mountains here, but we've got lots of steep, slippery tracks, and if what you train on is tougher than what you race on, you should be OK," he explained. "It's also about our attitude. It's a tough sport - it can really beat you up - but British riders have a lot of grit."